We were driving home Sunday night, tired from an exciting day of Easter and family. Too tired to talk, I flipped the station to Public Radio. “On Being” featured an interview with an Armenian Orthodox theologian and gardener. Krista Tippett’s voice remained calm and inquisitive, and she paved the way for such profound truths to come from Vigen Guroian. I spent most of the car-ride doing that “Hmm” and “uh huh” thing that really encourages Drew when he’s preaching. Except he was in the passenger seat, exhausted from giving two rather energetic sermons that morning. I wondered what he thought about my audible responses to these people talking on the radio. I listened intently, drawn in by talk of experiencing God in nature and music—in beauty and, even though Guroian didn’t use this word, in transcendance. The interview was pieced together between selections of Orthodox music, with the slow choral movements and tones and whew… This contemporary-church girl was captivated. Oh it was inspiring. Mr. Guroian talked about the importance of engaging the senses in worship experiences. 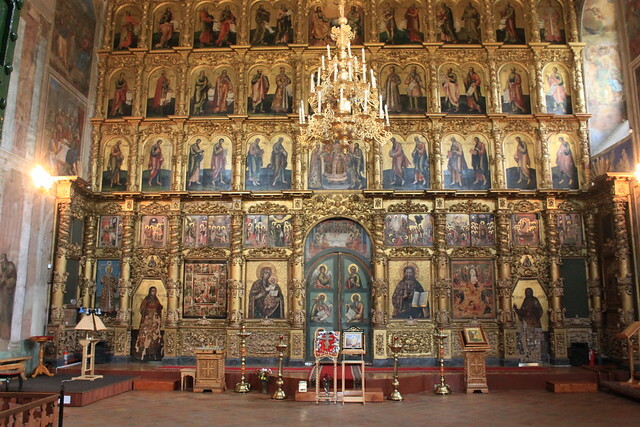 He briefly mentioned iconostases, those screen/wall thing that can be found in many orthodox churches. It is beautiful and engaging, but also separates worshipers from certain priestly happenings that are a part of the worship service, just like the veil in the temple that separated the Holy of Holies. My mind flew like a reference Bible through the stories of those who God prevented from seeing: Moses on the mountaintop, in the cleft with God’s hand covering him while God passed by. Paul and the scales. Oh but what about the early church believers who are supposed to have unveiled faces that clearly and distinctly reflect the Glory of the Lord? I’m supposed to be unveiled, right? But, I can’t see. I’ve talked about this before. It’s just a part of how things are going for me spiritually, which is not easily accepted or admitted, by the way. I don’t know if it’s going to last, but I know it’s there. And maybe one day the veil will be removed—torn, like Jesus tore it. If He has the power to tear that veil in the temple then He can surely remove the veil from my eyes. It may take an earthquake, but I believe it’s possible.